The burglary of a home can leave a family badly shaken, and it can be hard to know what to do first. Contact the police as soon as you notice a theft. There might be obvious access points, such as a shattered window or bent lock. Or there may not be any signs of forced entry, and you simply notice things missing around the house. Your home is now a crime scene, so try to leave it as untouched as possible. Ideally, you want to vacate the premises to avoid obscuring any evidence. Be particularly careful about not touching anything or stepping on any footprints. If it’s a very recent crime, you also need to vacate the premises to avoid a run-in with potentially violent criminals who may still be in the building. Get to a safe location first. If you’re confident that there is no immediate threat and simply wish to notify the authorities that they should investigate, you don’t have to dial 911. Use a smartphone or a friend or neighbor’s computer to look up the number for the local police precinct instead. Police will advise as to the next steps but will most likely complete their investigation and clear you to return to your home in fairly short order. If the investigators don’t note any signs of forced entry, you should change the locks. Quickly after the theft, you should contact your insurance providers. A home warranty or home insurance policy will offer specific coverage terms for this circumstance. Coverage may include repairs for any damage to the home or items within the home, and may include replacement costs for stolen items, and potentially even coverage for other costs incurred, such as an overnight stay in a hotel. Check your insurance policies and home warranties for more info. A good warranty or insurance policy can significantly mitigate the long-term damage. There’s an element of self-care that many people neglect to consider in the wake of a burglary. Victims of theft report feeling violated, a sense of loss, anger, vulnerability, and other negative emotions. They may develop symptoms of anxiety, paranoia, or depression. While there are some immediate steps to take, you may find yourself experiencing the emotional effects of the burglary for some time afterward. Immediate steps to take may include visiting a friend or relative’s house, or inviting someone over to stay with you to help you feel safer. You should engage in stress-reducing activities such as reading, playing music, physical activity, or pampering type activities. Meditation or participation in a religious community may help some. Others find self-defense classes can help them feel more in control and less frightened or violated. 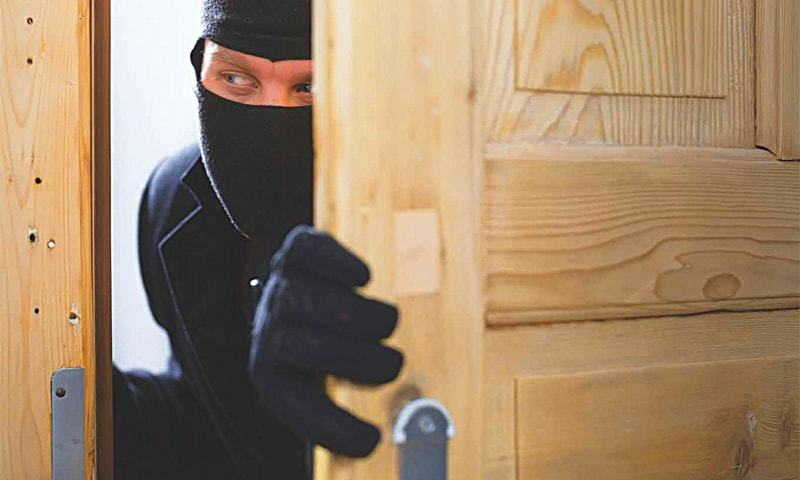 If police apprehend a suspect, you will have further legal steps to take after the burglary. You may be asked to view a suspect lineup or comment on a suspect list for any potential connections or motives that you might be aware of. Many thefts are impersonal and random, but in some cases, it may be an act of revenge or perpetrated by someone in your larger circle of acquaintances. You may or may not need or want to seek legal counsel. If you do need legal counsel, asking your network for recommendations and checking reviews is a good place to start. While media tends to make lawyers out to be devastatingly expensive and fairly unapproachable, the level of caution most people approach legal counsel with is not warranted. Lawyers are regulated professionals who exist to give you support within well-defined guidelines and, when hired, work for you and on your behalf. That said, there is no guarantee that you will need to retain legal counsel in the aftermath of a burglary. In most cases, it will not be required unless it is in relation to an insurance claim that is contested or unclear. If a thief is apprehended, a criminal claim against them shouldn’t require much from you. There is some urgency to respond appropriately after a theft. Report and involve police as soon as you become aware of a burglary. File insurance or warranty claims as soon as possible since there is often a deadline to file after an incident. Be kind to yourself and don’t push too hard to get back to normal afterward, as the emotional impacts often outlast the functional inconvenience. You can seek out stress-relieving and self-comforting activities, and rely on friends, family, or professional assistance to help you feel more secure and regain your balance. Criminal proceedings are unlikely, but if necessary, would likely take place some time after the event.